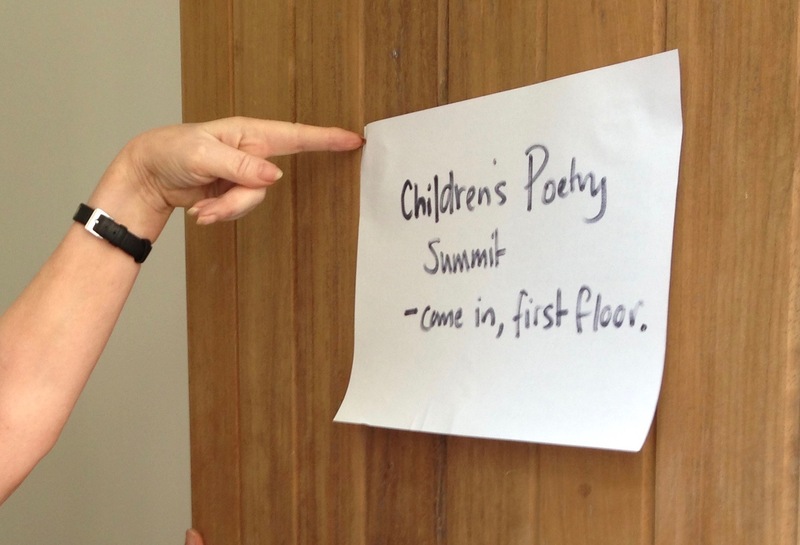 You may be wondering what the Children’s Poetry Summit is. The summit is run by Chris Holifield, who is the former Poetry Book Society director, and who is now the role director of the T S Eliot Prize for the T S Eliot Foundation. It’s a network of people and organisations that are interested in, or who work with, children’s poetry. We are children’s poets (of course!) but also publishers, teachers, librarians, booksellers, and organisations such as The Forward Arts Foundation, Poetry Society, CLPE etc. There are about three meetings a year and those who are able to gather, exchange information and ideas – about how to raise the profile of children’s poetry generally, support and promote the writing of poetry by children, and create opportunities to do all of the above through various outlets such as schools, teacher training colleges and literature organisations. It’s fun meeting other people who are as excited by and enthusiastic about children’s poetry as I am. Come and see our beautiful page with artwork by the wonderful Chris Riddell! COMING SOON! We also have a Children’s Poetry Summit Blog in the digital pipeline – there you will be able to read all about children’s poetry from any number of angles! More info here as soon as the blog is running. It promises to be another exciting place to gather children’s poetry information. ← Reaching the Stars long listed for an award!